Store bought caramels and caramel sauce are typically full of corn syrup, preservatives, and stabilizers. 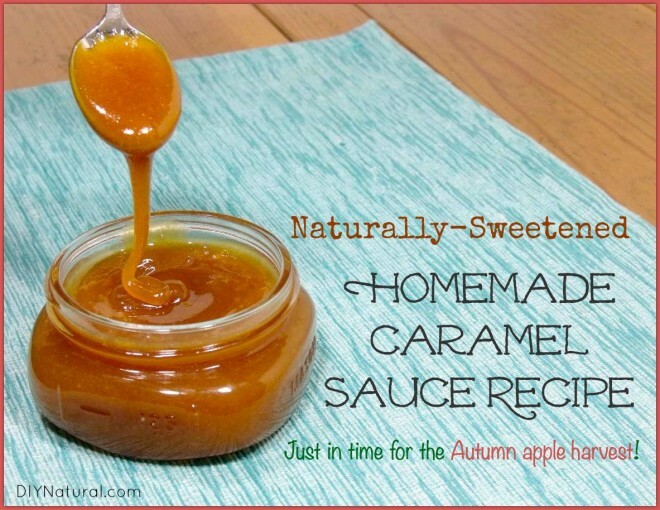 This recipe is for a simple caramel sweetened with honey. Honey caramel is slightly different in flavor than your traditional sugar caramel. It doesn’t have quite the deep, dark caramelized flavor, but it has so much more. Honey caramel is smooth and mellow with a wonderful, bright sweetness and a deep, dark honey flavor. 2. Once the sugar mixture reaches the desired temperature, remove it from the heat and whisk in the butter, salt, and vanilla. 3. If making a caramel sauce, let it cool slightly before using. 4. If making caramel candies, immediately pour the caramel into a baking dish that has been lined with buttered parchment paper. Cool the caramel brick in the refrigerator until firm. Then, turn the brick out of the pan, remove the parchment paper and cut the caramel into your desired bite-size pieces. 5. Store caramel sauce or caramels in the refrigerator for up to 1 month. 1 Double the above recipe. 2. Once the caramel has been made, skewer the apples with a wooden candy stick and dip them into the slightly cooled caramel. Place the apples on a sheet of buttered parchment paper and refrigerate for 1 hour. 3. Once the caramel is mostly firm, you can gently press any caramel that has puddled back around the apple. Roll your caramel apples in nuts, chocolate, etc, as desired. 4. Store them in the refrigerator until you are ready to serve them.